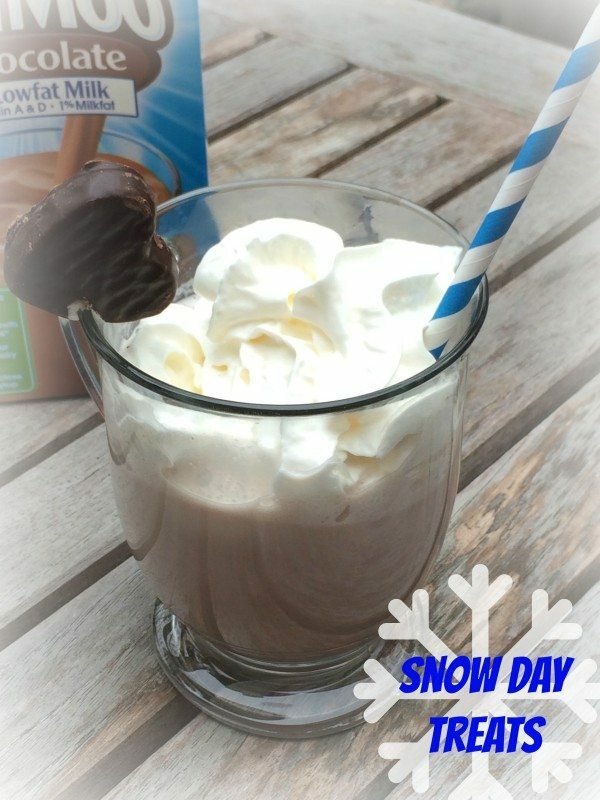 This post about Snow Day Treats is brought to you from TruMoo Milk. All the opinions expressed are 100%my own. This whole Polar Vortex thing is really cramping my Blogging and my kids’ time in the classroom. First we had late arrivals for cold weather, and now on day 10, (minus yesterday) for snow days. So what do you do for week of snow days? This kids want to be outside all day and then come home looking for Hot Chocolate. 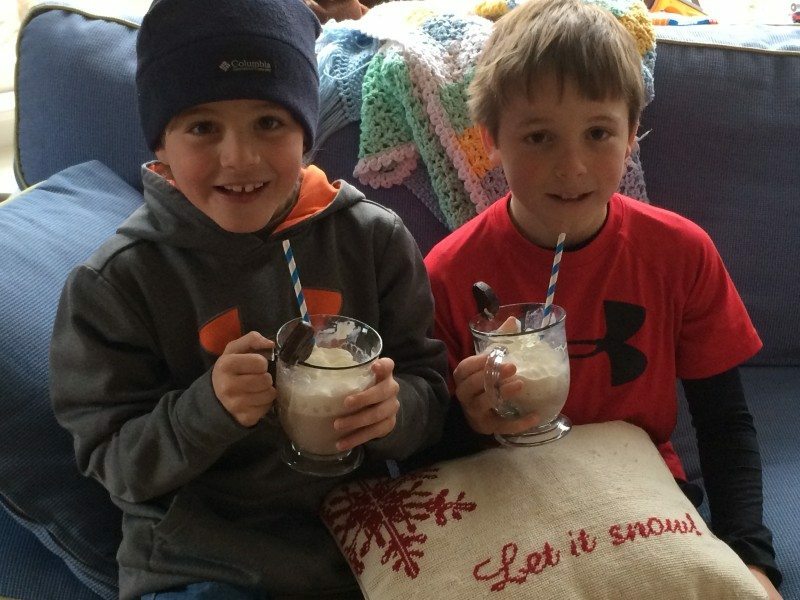 This week we decided to make a snow day treat, a healthier Hot Chocolate drink using TruMoo Milk. I went to our Target store to look for the new TruMoo Chocolate Marshmallow milk that just hit the stores on January 26th, but our store must have been sold out. No biggie I just picked up a carton of the widely available TruMoo Chocolate milk. 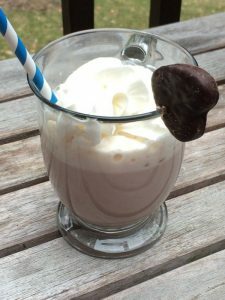 While my kids could drink a carton of TruMoo Chocolate Milk in an hour right out of the fridge, we decided to make an extra special drink to celebrate going back to school. (Jinxed ourselves) Simply microwave the milk and add it to a mug. Top it with some whipped cream, I know defeats the lower sugar count, and we added a yummy heart treat too. If your family likes mint flavored hot cocoa, you can add the peppermint chocolate to the bottom of the glass and then add your hot milk. YUMMY. 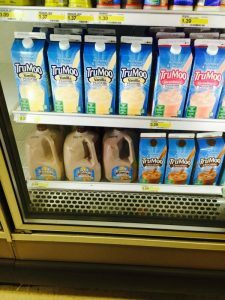 Maybe you will get lucky and find TruMoo Chocolate Marshmallow Milk in your stores, it’s available in the dairy section at grocery stores nationwide through the month of February. Here’s to another snow day…. well at least we have milk!! See what other lovers of TruMoo Milk are creating by checking out their Facebook and Twitter Pages. Better yet why not enter to win a $500 #targetGiftcard. Enter below. thanks Bonnie, it is a fun treat. That looks delicious! My kiddos would love this. Chocolate Marshmallow milk?! I need to look for this ASAP! I am going to go to another store to find it. I would definitely try it hot…with whipped cream. What a fun treat. This is a wonderful Snow Day Treat. Looks so delicious, and I want to make this! My family would love them! 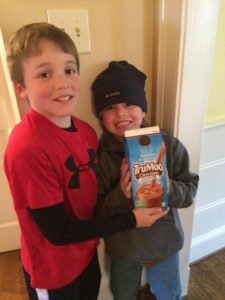 Our family loves TruMoo and this looks wonderful. Hot chocolate is an all time favorite for us in the winter!! That looks delicious! My son LOVES TruMoo he would love to try this. I’ll have to look for the chocolate marshmallow next time in Target. Yum! That treat looks tasty. My kids would love it too! I know I will have to try another store for this. I so need TruMoo chocolate marshmallow! It sounds so good and we adore TruMoo chocolate milk!! OMgoodness….that whipped cream drink looks extremely tasty! I love how you dressed it up for the wintertime!